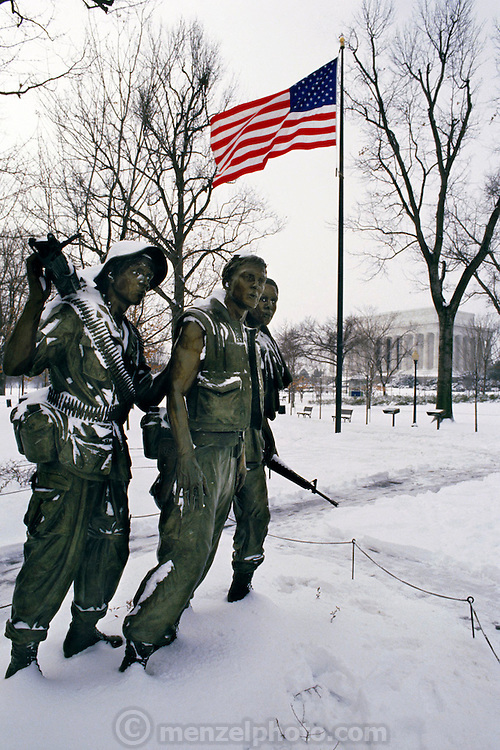 Vietnam War Memorial after a snowstorm. Washington, DC. USA.